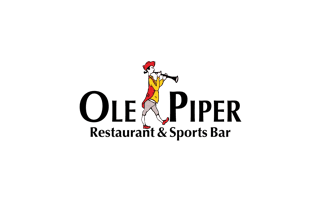 Welcome to Ole Piper Family Restaurant & Sports Bar. The Ole Piper, formerly known as "Inn" (no connection with Prince) also known as "Pipers" or "The Pipe". We've been around since dinosaurs roamed Valley Park, and as a matter of fact, if you're lucky you can still see a sighting of them in the bar. Like Mr. Rogers..."We want to be your neighbor". We've fed you, your kids, and probably your kids, kids. Through all the commercialness and political debacles these days, we've managed to stay a family owned, family ran restaurant servicing Apple Valley, Farmington, Rosemount and Lakeville and we only have you to thank, YES you!! I have eaten here dozens of times. Always happy with the pizza. Have also enjoyed other items from the huge menu. Super nice people. I have been going here for over 20 years. Lucky to have it 2 miles from home ! From our pizza to our burgers to our pasta. Absolutely delicious.